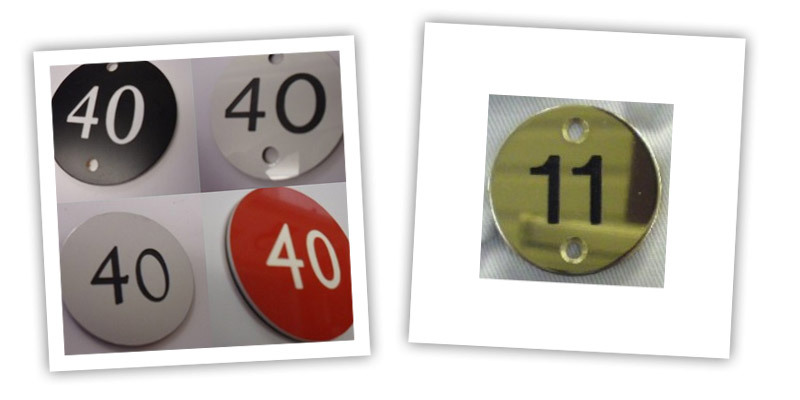 Engraved Table Numbers – The Manchester Rubber Stamp Co. Ltd.
Engraved Table Numbers: Our table numbers come in brass, Stainless steel , kemco and traffolyte. The typical size is usually 40mm to fit into a table recess but they can be milled to any size. The traffolyte discs come in a wide range of colours.